All You Quizzy Rascals! This is one for you! 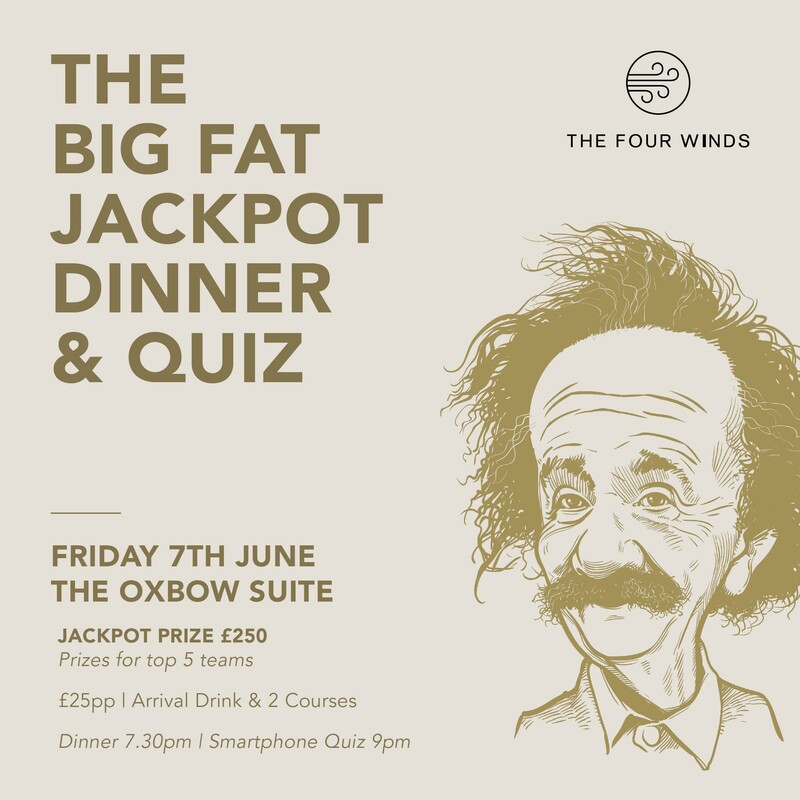 The Smart Phone Quiz has taken The Four Winds by storm in the last couple of years – it’s about time we put an event together with not just delicious food, but a delicious Jackpot Prize too! Enjoy a drink on arrival and a lovely 2 course meal (brain fuel of course) before the big fat quiz begins in our private function suite – The Oxbow! Check back soon for the menu! It’s quick, it’s ruthless, it’s hilarious! All you need is a smart phone or tablet to use as your buzzer and soon you’ll all be roaring out wrong answers, stealing points from each other and laughing all the way through! Get your friends, family, colleagues together whether they’re in your team or not! JACKPOT PRIZE OF £250 CASH! Limited space available – book now to avoid disappointment! Teams of up to 5 people!